Brisbane, QLD Australia – 21 February 2017 – Nokia’s manufacturing plant in Chennai, is one of the first organisations in India that will commence using Life by SmartCap, the world’s most effective fatigue monitoring solution. The strategic partnership between SmartCap Technologies & Vareli Tecnac has helped them solidify their position in the Indian market. Following the successful launch of Life by SmartCap at IMME 2016, Nokia was the first organization to place an order with Vareli Tecnac. Both SmartCap and Vareli Tecnac consider the increasing amount of interest in the product a reassuring sign that companies are eager to utilize the sophisticated technology that will get their employees home safe, every day. Vareli Tecnac’s Vice President Mr. Uday Banerjee stated “Fatigue is one of the biggest killers on India’s roads and the introduction of SmartCap’s new product Life has come at a time when there is an urgency for an innovative solution.”. Road safety issues, including drowsy driving, have plagued the region for a number of years. In 2015, the country recorded the highest number of accidents in the world and over the 365 days 15,633 children were killed. The drive home after a long shift makes supplying an accurate fatigue monitoring solution crucial for the region, after recent government data was released stating that on average, 16 people tragically lose their lives every hour on India’s roads. “We are pleased that so many organisations have approached Vareli and expressed their interest in implementing SmartCap Technologies fatigue monitoring system” Mr. Banerjee said. Vareli Tecnac and SmartCap Technologies are determined to make their mark in the region by arming drivers with a wearable device that will not only get users home safe every day, but other road users as well. SmartCap Technologies are the thought leaders behind the world’s leading fatigue monitoring solution and Life by SmartCap is the only wearable available that offers accurate fatigue monitoring anywhere, anytime. 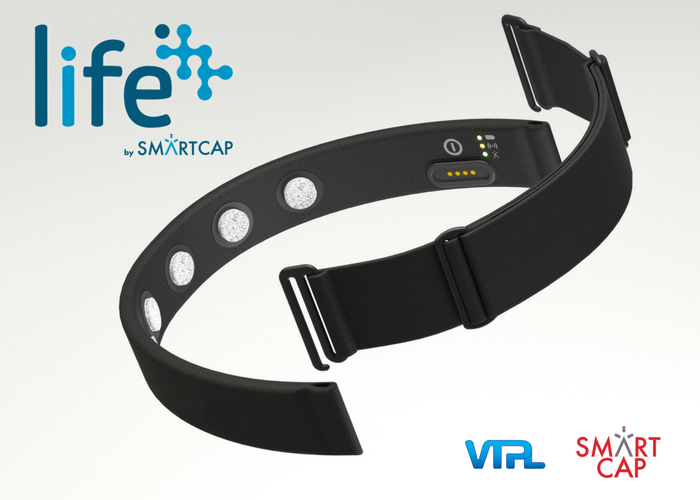 Currently, their first generation product the SmartCap and newest edition Life is used across 5 different continents. Field tested and validated, SmartCap’s technology boasts a 94.7% accuracy rate and empowers users by giving them real-time fatigue level readings using EEG technology. Vareli Tecnac assist Nokia’s Chennai Plant s with implementation of fatigue monitoring solution Life by SmartCap (Pictured).